Herman worked in watches and jewelry, boots and shoes, dry goods and fir Trentman Wholesale Grocery Co. Hubert, the next brother in age, arrived in Fort Wayne in February, 1880. He was 19 when he arrived, his birth being November 21, 1860. Trentman Groceries provided passage and apprenticeship in return for work. He started as a clerk in 1882, then took brother Henry's job as bookkeeper when Henry left to join Herman in their first independent business venture. 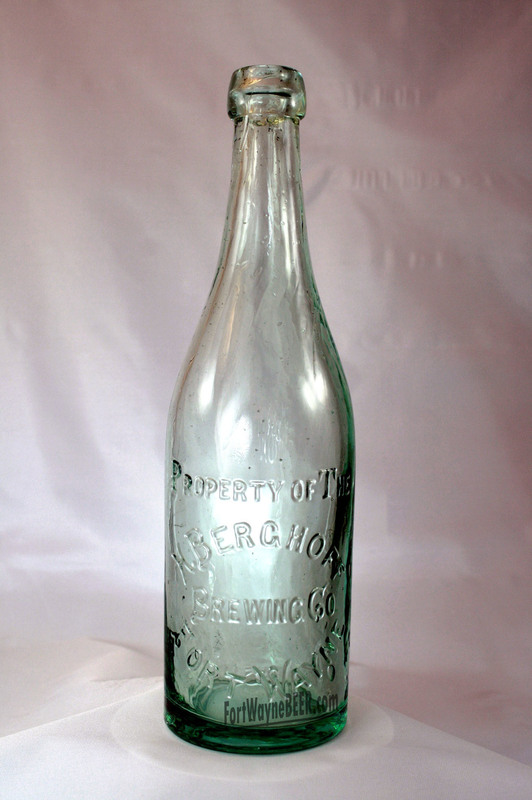 The Berghoff Brothers had become the proprietors of the East End Bottling Works, Wholesale dealers and Bottlers of Beer, on the southwest corner of Washington and Wabash street. When Hubert married that October. The wedding reception was held in the East End Works. Like his two brothers before him, he married a daughter of Lorenz Mayer. 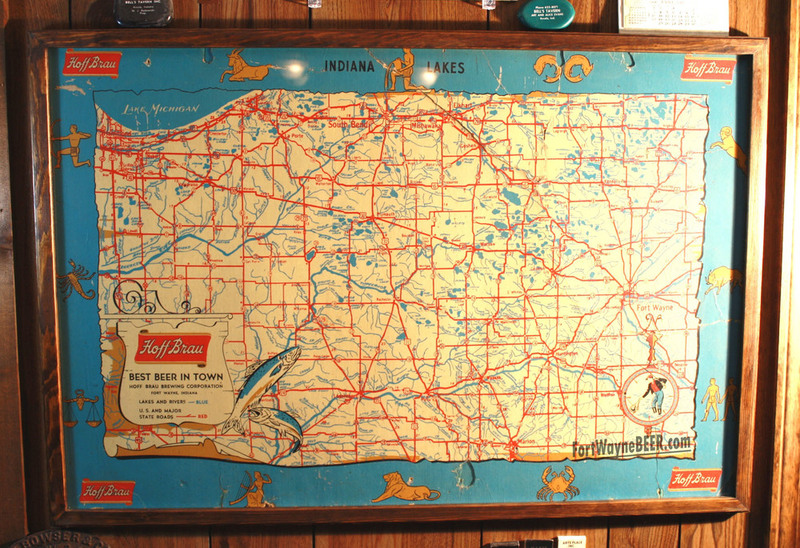 Four months later, the youngest brother, Gustav arrived in Fort Wayne from Dortmund and began to work off his passage and apprenticeship with Trentman as a clerk. Henry C. Became actively involved in Democratic politics and was given the purse as City Treasurer under several mayors. 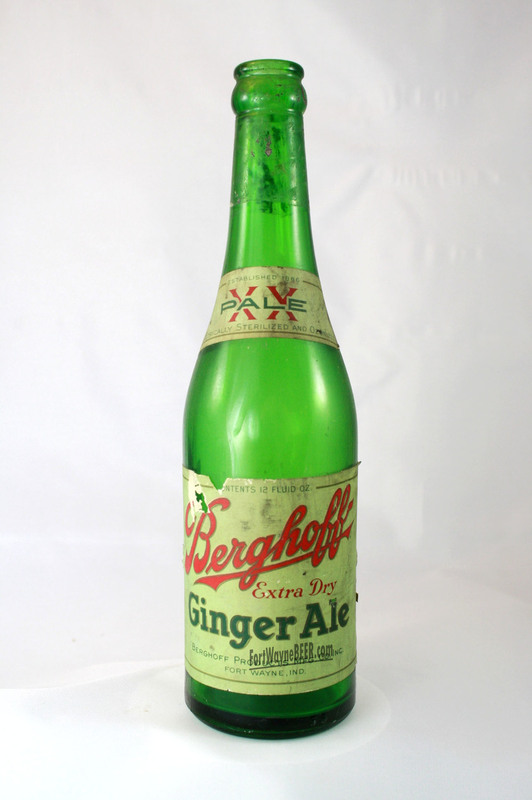 While serving, he continued his interest in Berghoff Brothers Bottling works. The brewing process starts with malt, a product of barley, which has been soaked, germinated and kiln dried, to change it from a hard bland grain to a mellow, crisp, aromatic and slightly sweet tasting food. The malt is stored on the 3rd and 4th floors of the brew house. The malt mill on the 4th floor grinds the barley into mash which is fed by gravity to the mash vats on the 2nd floor and cooked in pure well water drawn from the rock 200 feet below the brewery and filtered before use. The cooked mass is transferred to the grant or “grunt” where the liquid or wort is separated from the spent grain: a process called lautering. The liquid is piped to the “hop jack “ on the first floor , a very large copper kettle, to which the hops are added to provide the delicate tang. The mixture is boiled, the hops are strained out , and then the hot wort is pumped to the 6th floor to the boat shaped horizontal tank called the “Kuhlshiff” to start the cooling process. Cooling is continued as the wort pours down over the immense copper cooling tubes which bring the temperature to 50 degrees . Then the liquid goes into the “ansatz” room to settling vats in the first cellar, and then to the fermentation tanks in the next cellar where yeast is added. This is where the wort finally becomes beer as the yeast converts the grain starches to alcohol and carbon dioxide. When ready , the cool beer is transferred to the “lagering “or resting tanks in another cellar for aging, which creates the mellow flavor . Nine or ten days have passed in the process so far. Finally, the beer is transferred to the storage or “government” tanks. Also being stored in this cellar the reporter noted large galvanized iron cases filled with hops. These hops are picked, packed and sealed air tight in Germany to preserve flavor until use. After the beer is measured, so it can be properly taxed, it can be sold . Kegs and barrels are filled in the “Anlaufen” or racking room and the beer is then delivered to saloons cool and full of flavor. 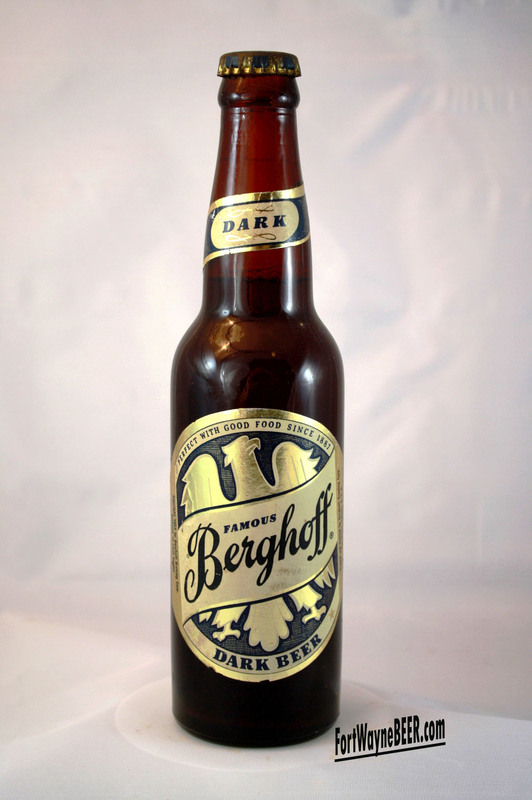 Saloon keepers should recognize the fact that with a brewery like Berghoff’s right in this city, not a dollar of money should be sent to Milwaukee, Cincinnati, or Chicago. That money should stay in Fort Wayne where they will be more likely to get the benefit of it again by it’s circulation “, so states the Journal scribbler on June 12, 1888. 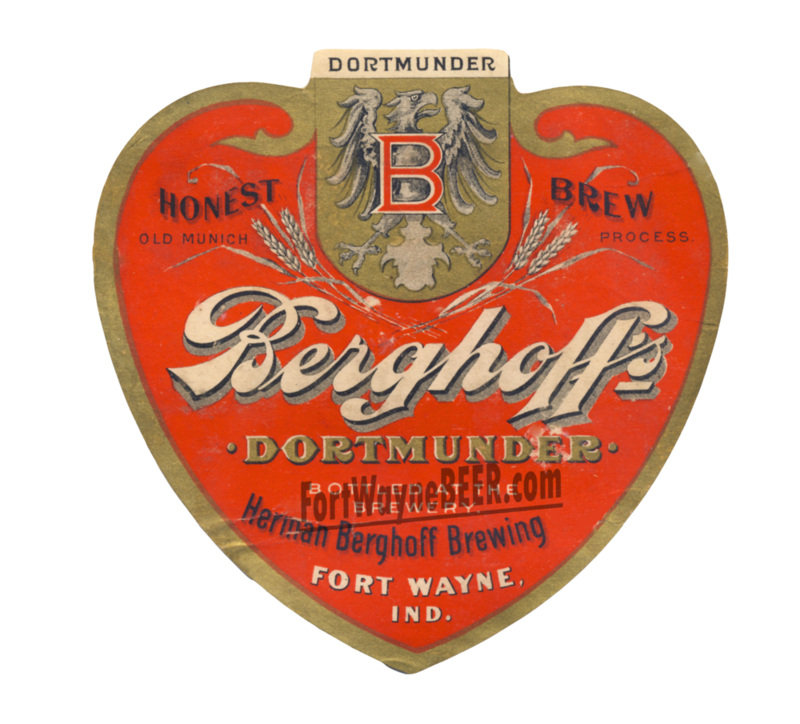 Berghoff Beer was just making a name for itself when on August 22, 1888, a disastrous fire struck the new brewery causing $50,000.00 damage. While the fire was still raging overhead, Herman was in his office writing telegrams to manufactures telling of the fire and requesting help to repair the damage. In less than 10 hours after the fire was put out, skilled craftsman were on their way from Chicago, New York and other cities. 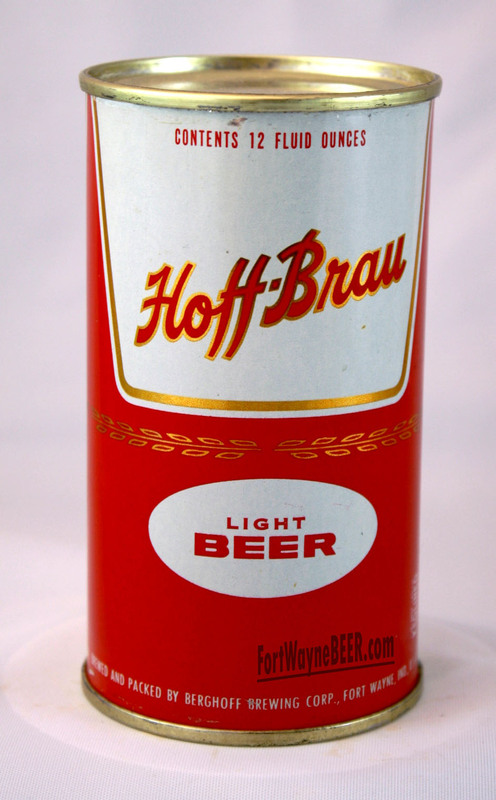 On the night of the fire, Herman told a reporter, "Every dollar I have in the world is represented in that pile of burning buildings, but you can say to your readers that we will rebuild and we will be brewing again in a month at farthest". His word was made good and brewing resumed September 22. Although the fire destroyed equipment, it didn't touch the cellars where the beer was stored, so they were able to serve customers as usual with no interruption. Hubert left his bookkeeping job at Trentman and joined the Brewery as Secre­tary-Treasurer. 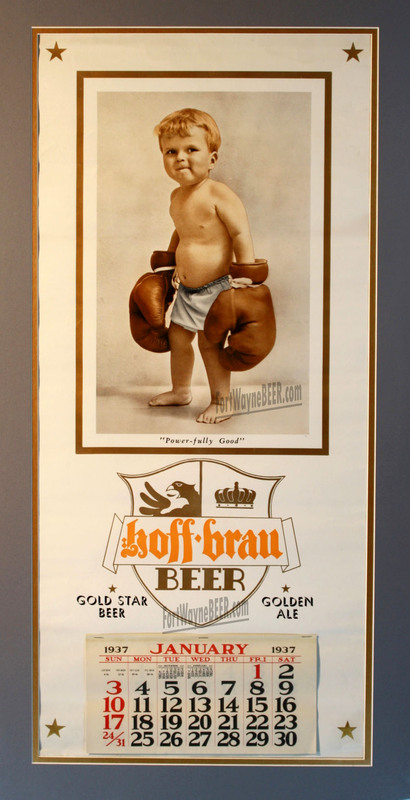 Gustav, who had been working as a traveling agent for Trentman, came to the brewery in that same capacity. Gustav married about the same time but since there were no more marriageable Mayer sisters, he married their first cousin. 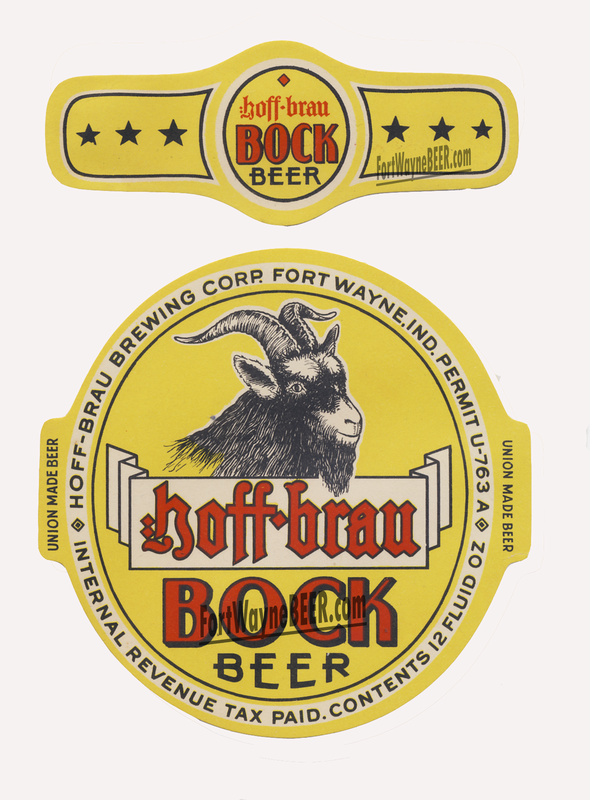 In 1892, Gustav left the brewery when he purchased the struggling Summit City Soap Works which he immediately turned around with inspired advertising and aggressive management. Herman's wife died in March, 1896. As a result, he went on the road as a traveling agent for the brewery. 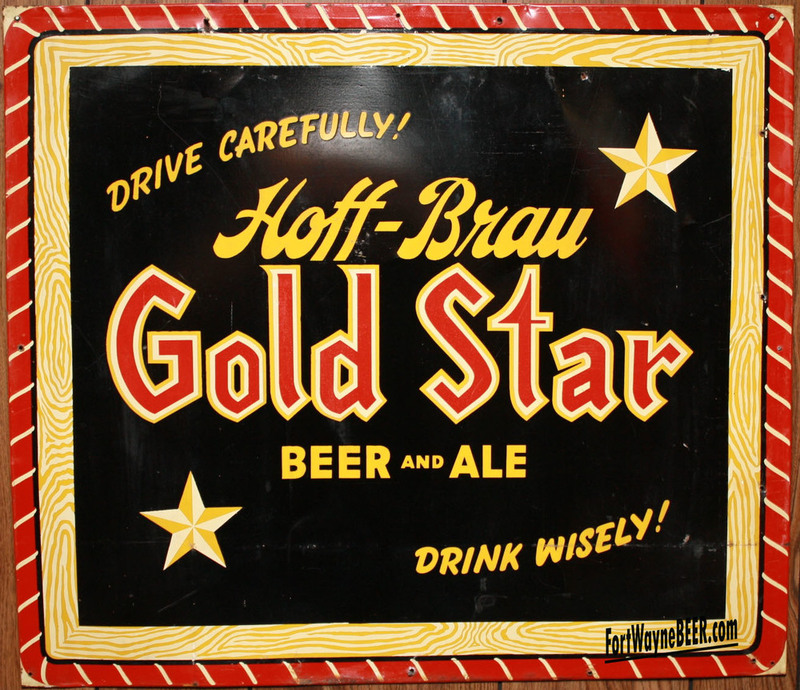 He was having no success in Chicago obtaining a li­cense to wholesale his beer there. He was told they had too many Export (out-of-town) Beers already. In 1898, he obtained a retail license and opened the Berghoff, a saloon in the Loop on the corner of Adams and State Streets, one door down from the site of the famous Berghoff Restaurant. 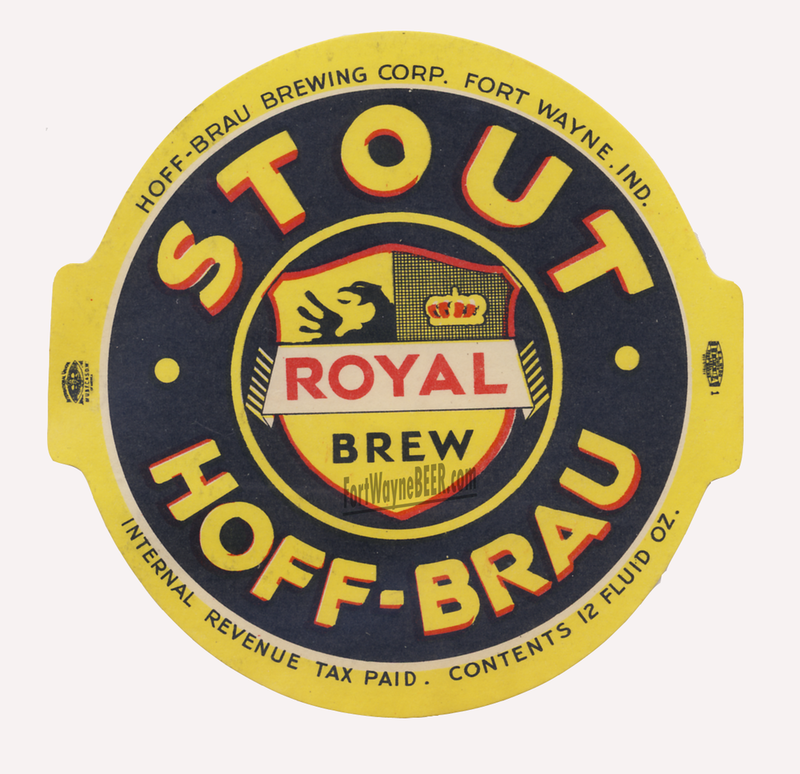 Gustav had his soap company, Henry was city comptroller and Herman now resided in Chicago, although he retained the presidency of the brewery. 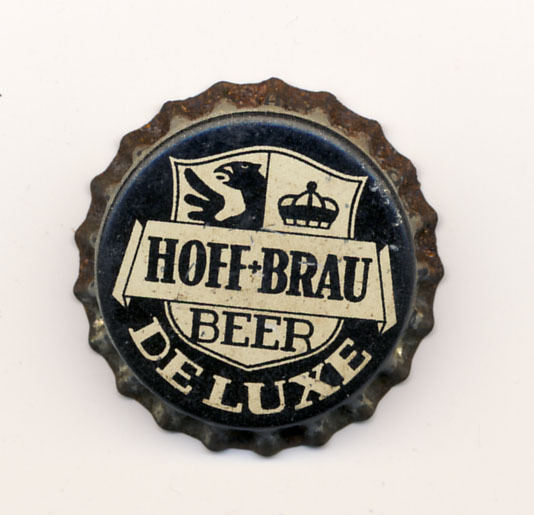 Hubert took the responsibility of the brewery with the title of vice-president and Manager. The company was reorganized with capital of $500,000, half in common and half in preferred stock. 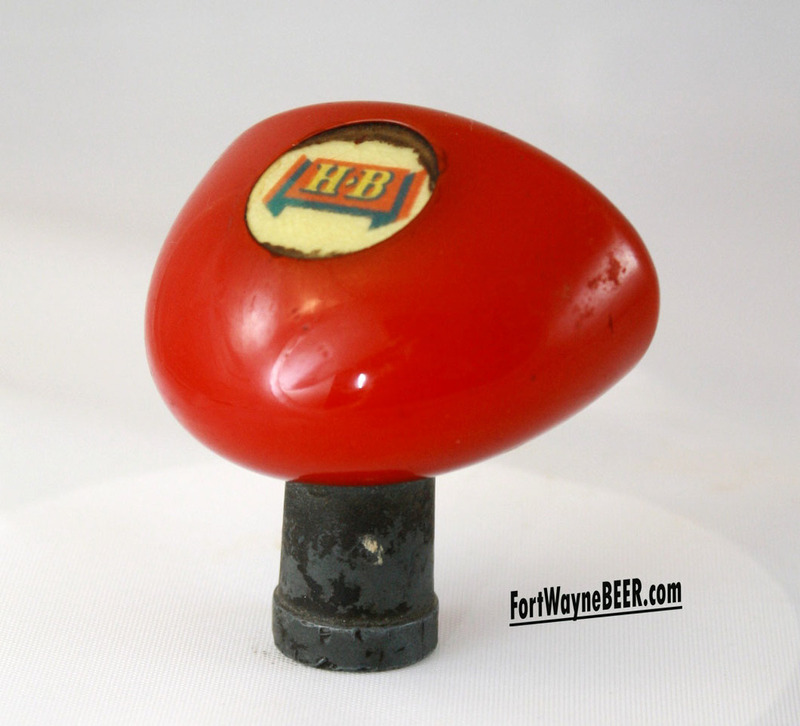 With the change in management, came the first name change to the "Berghoff Brewing Com­pany". 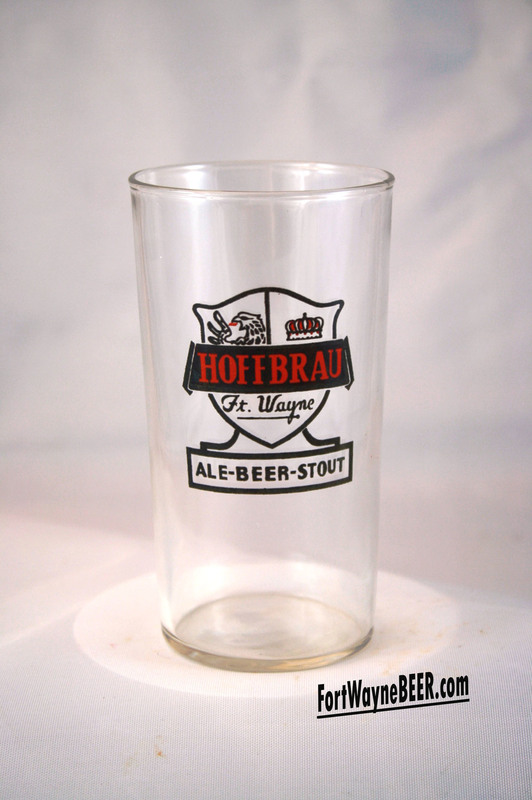 They continued to brew "Dortmunder" and added "Salvator", a table beer of the Munich type. They were bottling 12 barrels of beer an hour, by hand. Henry C. was elected mayor in 1901 and was the only person to serve in that capacity for a five year term, which left him no time for the brewery. Hubert's health problems began in 1908 and he could no longer bear the re­sponsibility of managing the brewery. At this point, Gustav took the presidency with Anthony Trentman as vice-president and Stephen Fleming as Secretary-Treasurer. 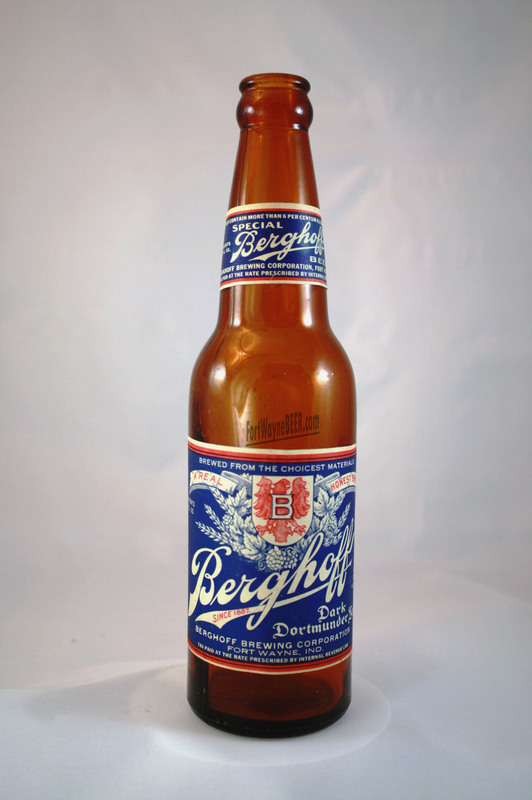 In the 1909 re-organization the name was changed again, it became "The Berghoff Brewing Association". 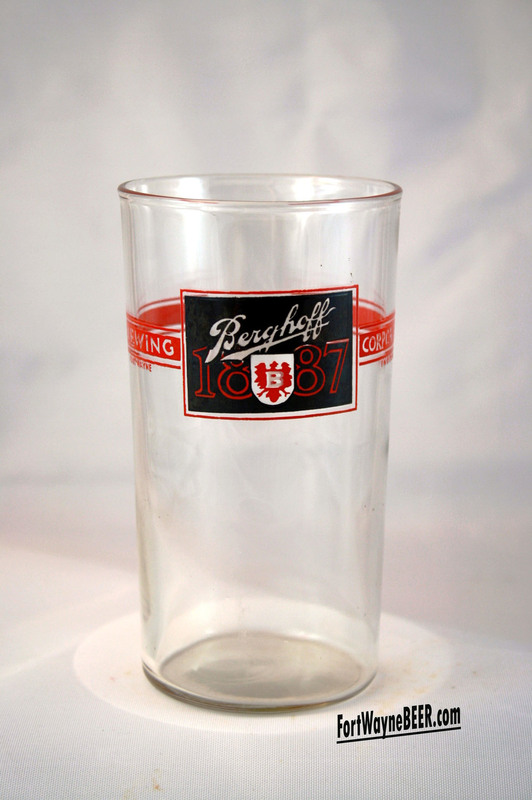 The Berghoff Brewery started to brew beer in April 1933 upon the repeal of the Volstead Act as the Berghoff Brewing Corporation, with the remaining Berghoff presence in the Corporation being the board membership. 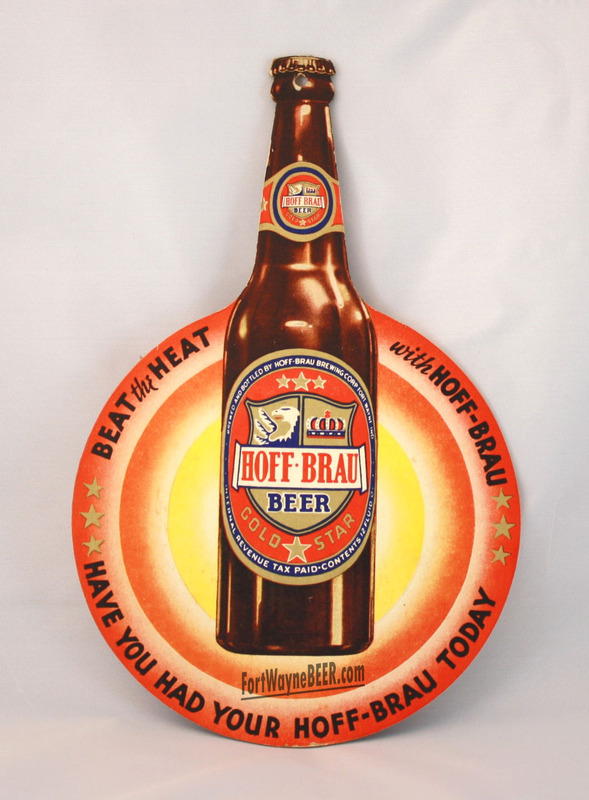 Hoff-Brau and Berghoff competed in beer sales for almost two decades until Hoff-Brau facing the need to make major investments in the plant decided to close, and the Hoff-Brau Brewing Company’s brewing was taken over by the Berghoff Brewing Corporation, in August of 1951. 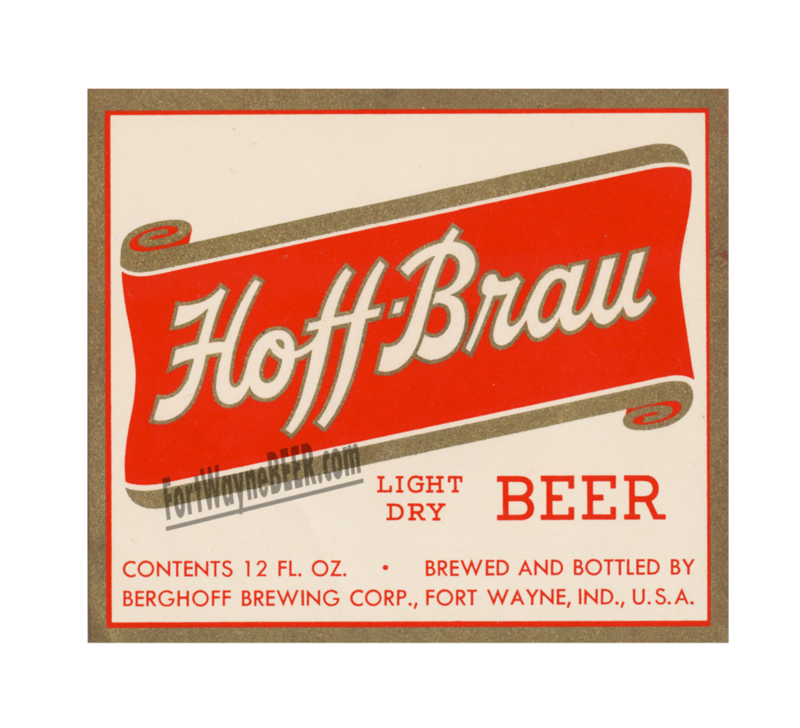 Berghoff Brewing corporation operated another three years until Falstaff took over the Berghoff brewery along with the labels on April 12 1954. 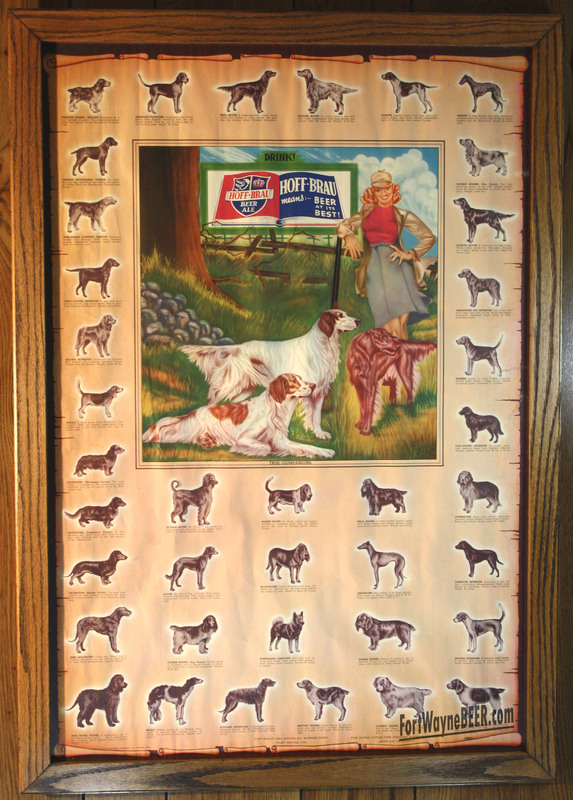 The Berghoff family retained the right to sell the Berghoff brand in the state of Illinois. The old Berghoff plant operated as Falstaff Plant No.7 until its closing in 1991 and now is the home to Current Mechanical a large local mechanical contracting buisness and the Bergstaff Place , a great reception facility. As a matter of fact during a slow economy, Current Mechanical took the opportunity to do a lot of restoration and updating of the facility. 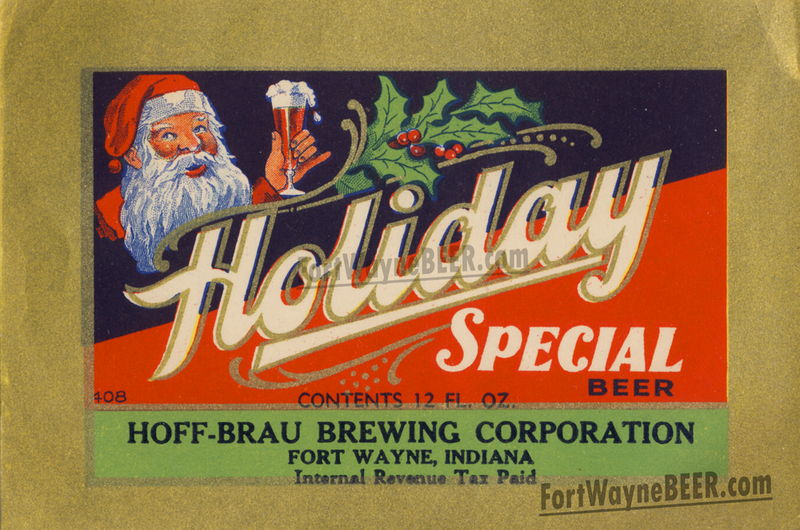 After the brewery in Fort Wayne was sold, Berghoff was brewed by the Tennesee Brewing Co. in Memphis, Leisy Brewing Co. in Cleveland, , Walters Brewing Co. in Pueblo CO. and Pearl Brewing Company in San AntonioTexas. 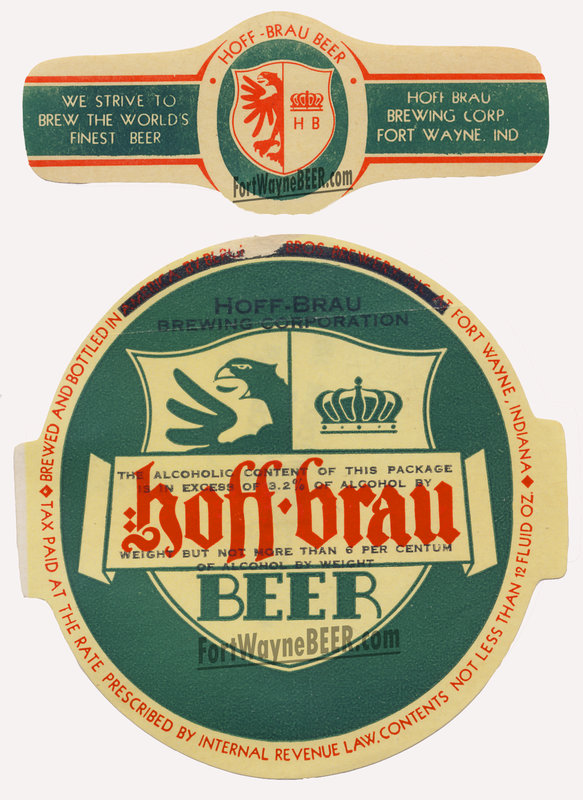 In 1960 the Jos Huber Brewing Company began contract brewing Berghoff brands for the restaurant in Chicago. 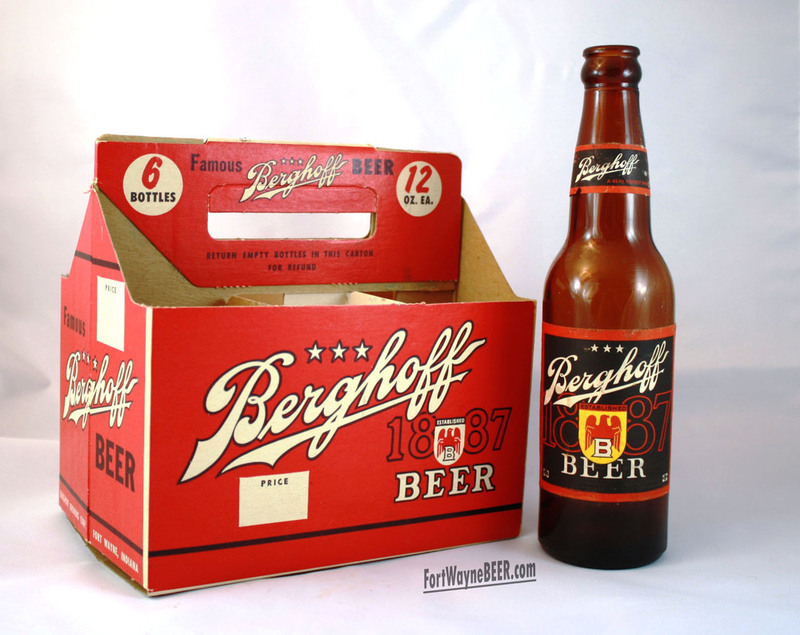 On Sept. 9 1986 Huber began bottling Berghoff brands for distribution. Just in time for the 100th anniversary of the brew. 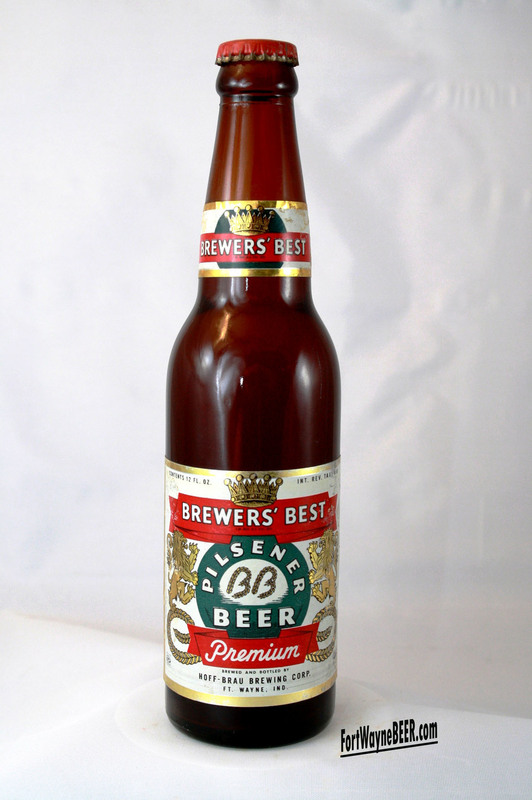 In 1994 the General Beverage acquired ownership of Jos. 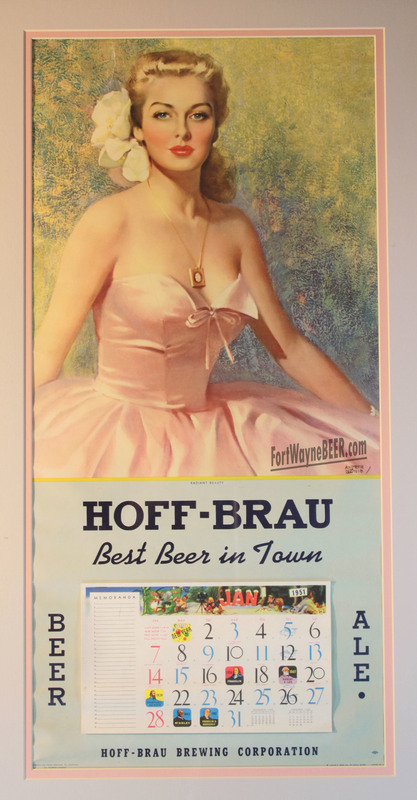 Huber Brewing company along with the Berghoff brands. 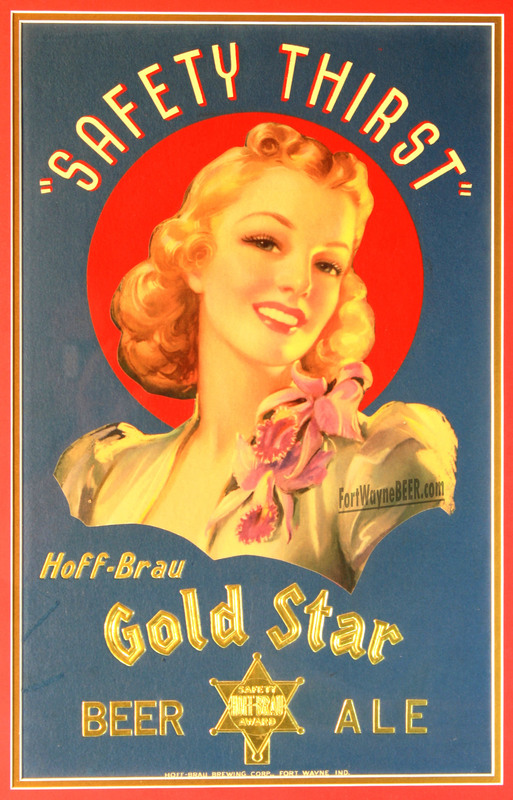 Under the Weinstein (General Beverage) ownership the Beghoff family of beers were expanded after the Herman Berghoff sold the labels to Jos Huber in 1995. The Jos. Huber Brewing Company was sold to and became the Minhas Craft Brewery in October 2006. 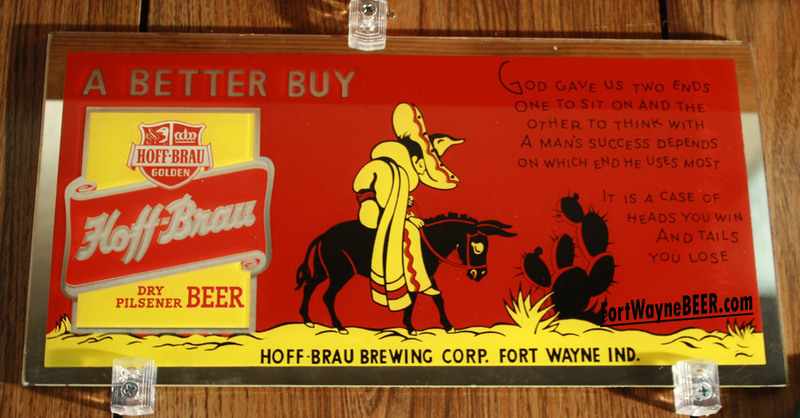 The Minhas family acquired all the Jos.Huber labels except Berghoff that was retained by General Beverage. 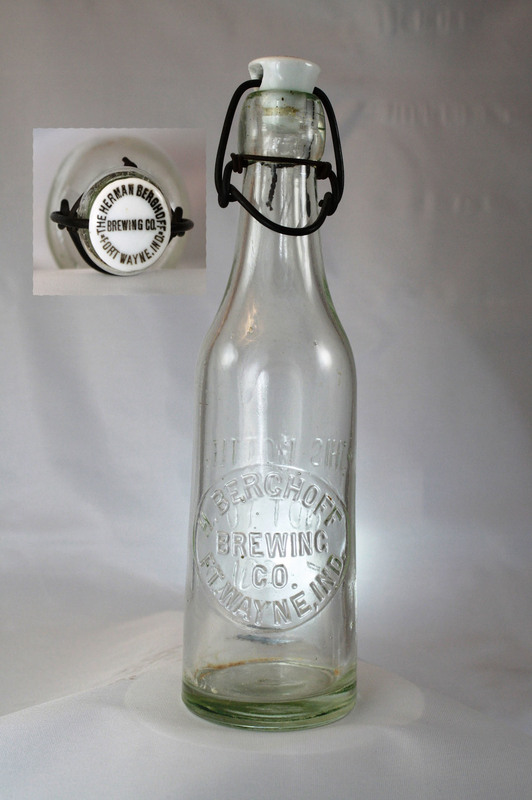 Below are just a few of the Berghoff Brewery collectibles out there. Check back often, there is a lot more to come.